First impression : Orange peel. Characteristics : citrus fruit, carnation, hint of freshly toasted bread, delicate. 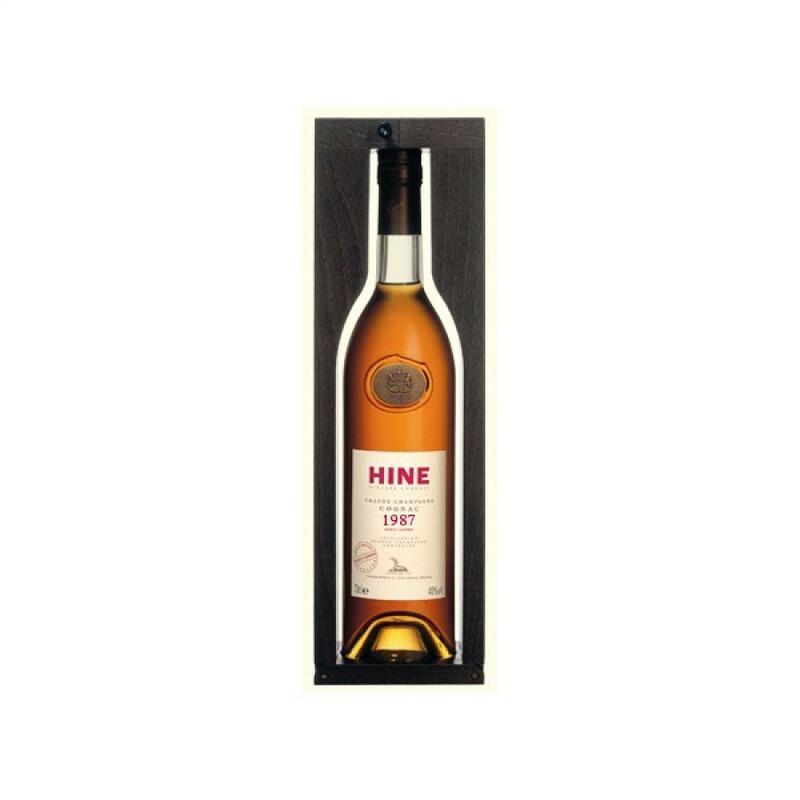 Hine Millesime 1987 Early Landed Cognac is one of these. By 'early landed' this means that the cognacs were sent to be aged in bonded cellars in Bristol, UK, where the dampness and humidity cause the contents within to age with a unique quality. 1987 Early Landed is a very delicate vintage. The cold year and the ageing conditions in the humid Bristol cellars result in a very typical bouquet of orange peel and citrus fruit. On the palate irresistible notes of liquorice. Eye: Golden robe with luminous orange brilliance. Eye: Amber with flashes of mahogany. Nose: Spicy notes of spices, nutmeg. Palate: A cognac with a lot of roundness in the mouth followed by a gourmet note on the finish. This vintage is rich and testifies to the beautiful complexity of the Cognac terroir.